Since the centre of the campaign was in the Transvaal, the farm had to be close to Johannesburg. Herman Kallenbach, an architect until he became Gandhi's ardent follower, came to the rescue. A man of some means, Kallenbach bought a piece of land from Town Councillor Partridge, and officially placed it on May 30, 1910, at the disposal of the satyagrahis as long as the campaign lasted. Gandhi praised Kallenbach's action as one "calculated to bring East and West nearer in real friendship than any amount of rhetorical writing or speaking". The truce with the Transvaal Government did not last long. The Satyagraha campaign had to be renewed. There were acts of defiance by the Indians and punitive measures by the authorities. Gandhi set up a small colony-Tolstoy Farm- at an 1100 acre site, 21 miles from Johannesburg where his colleagues in the Satyagraha struggle and their families could support a frugal and hard existence- which was in fact harder than life in jail-by-running a cooperative farm. 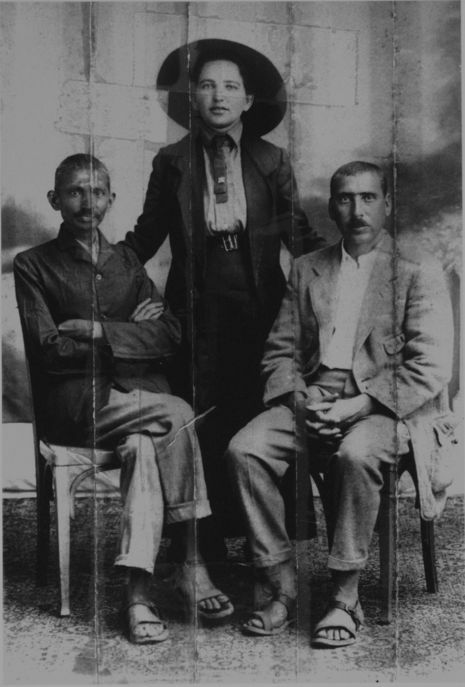 "We had all become labourers," Gandhi recalled later, "put on laborer's dress, but in the European style, viz., Workman’s trousers and shirts which were imitated from prisoner’s uniform". Those who went to Johannesburg on private errands had to walk. Gandhi himself, though past forty and living only on fruits, did not think much of walking forty miles a day; he once did 55 miles without feeling any the worse for it. All residents of Tolstoy Farm including children had their quota of manual labour. Those who had known this austere discipline could have little fear of goal.